One of the greatest things about being a cow whip maker is that I have been blessed with the opportunity to export part of my Florida Cracker heritage all over the U.S.A. and around the world. 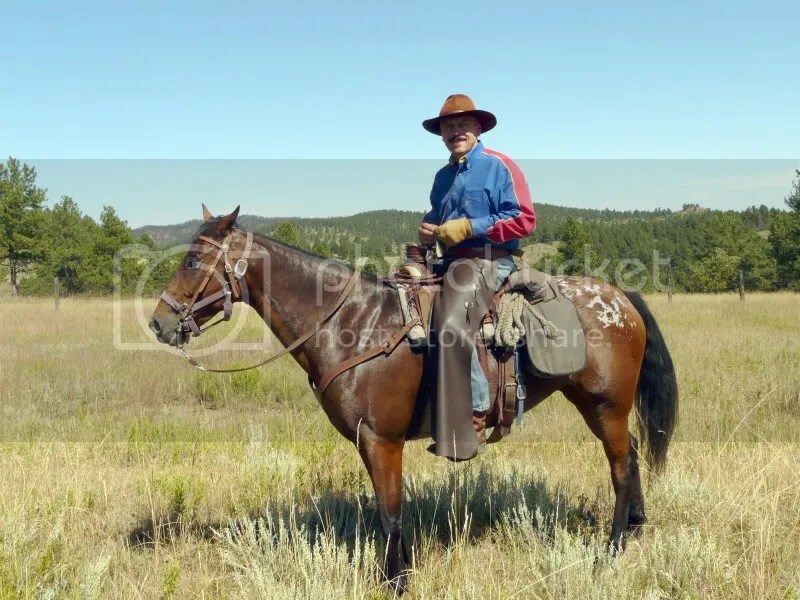 As a whipmaker, I appreciate all the folks who buy my whips, but I have to say that there will always be a special place in my heart for the folks who buy my whips and use them to round up livestock. Below you will see some photos from Custer State Park in South Dakota. 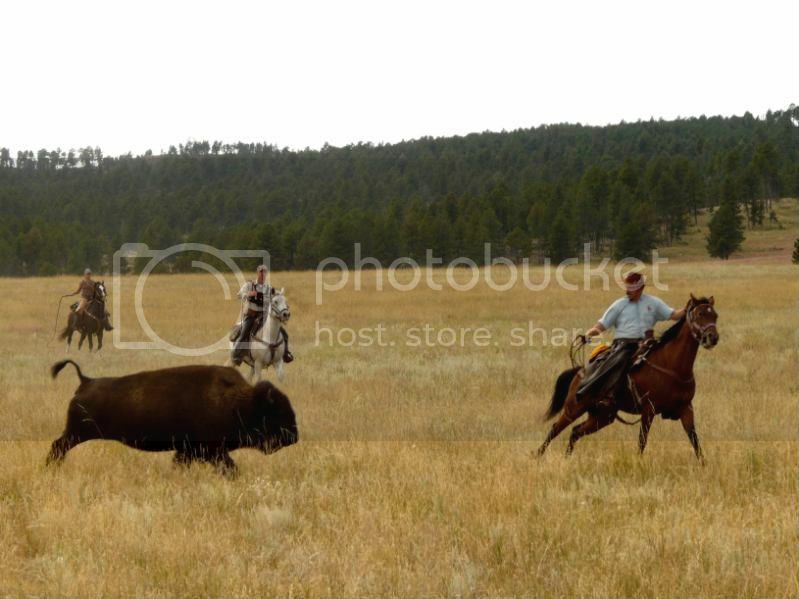 These pics were taken last year during a buffalo round-up and sent to me by Kevin MacRitchie. I really appreciate Kevin sending me these pics. It really made my evening when he emailed them to me. Kevin on his horse with an RK cow whip on his saddle. 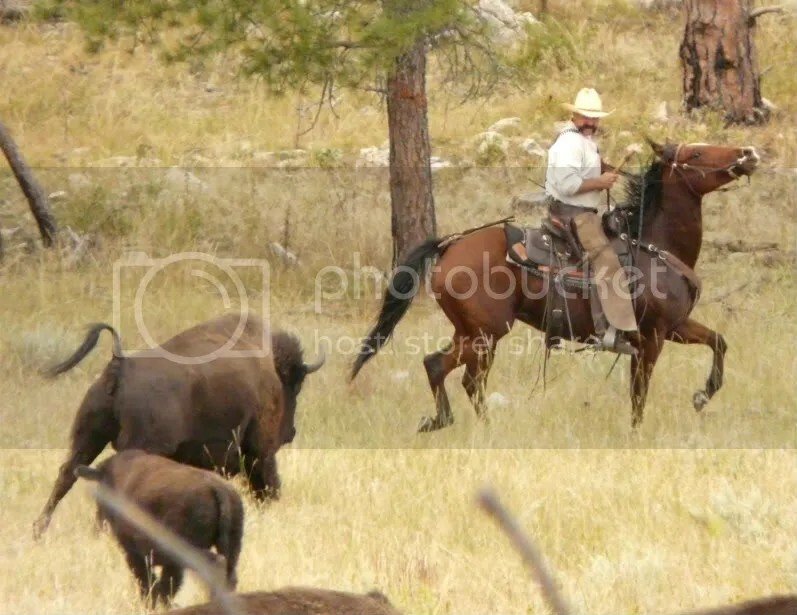 Chad Kremer, buffalo herd manager at Custer State Park, being chased by a buffalo cow. Kevin being chased, with Ron T. and Jennifer T. coming to his aid. Kevin says this is their view for most of the day! If you have any photos of my whips in action on the ranch or range, please send them to me and I may use them in a future blog post. 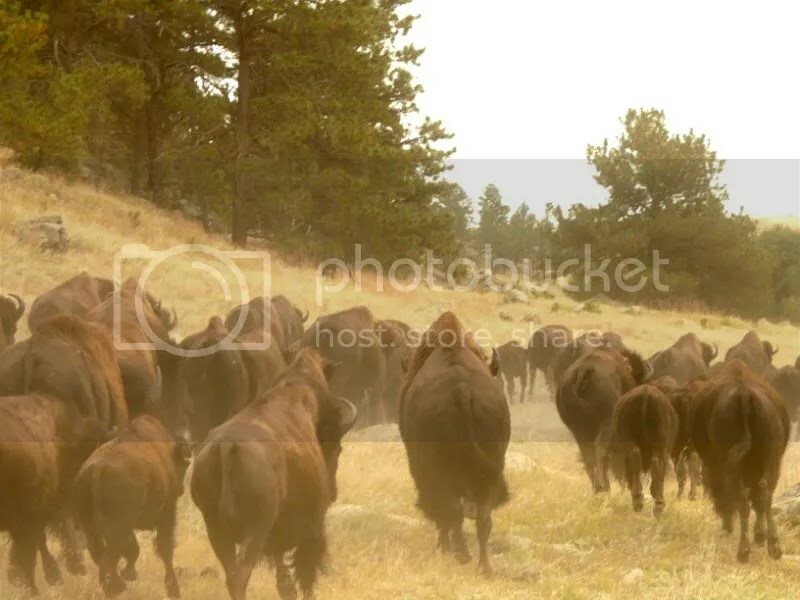 This entry was posted on Tuesday, March 31st, 2009 at 9:10 pm	and tagged with buffalo, Cow Whips, cowgirls, custer state park, whips, working cowboys and posted in Cow Whips. You can follow any responses to this entry through the RSS 2.0 feed. Greetings from Custer State Park. How fun to see the pics from Kevin!